Team members at Everything Dinosaur have been busy cataloguing and classifying lots of dinosaur pictures. This work is being carried out for a special project we are working on, we can’t tell you about the project in too much detail for the moment, suffice to say we are very excited about it and it does involve looking at lots and lots of pictures of dinosaur models. Whilst browsing all the data files we came across this wonderful picture that had been sent to us by our friends at Schleich. It shows one the World of History Tyrannosaurus rex dinosaur models being played with by a young dinosaur fan. The budding young palaeontologist seems very pleased with this prehistoric animal replica and he is full of admiration for the “King of the Tyrant Lizards”. The model is actually the dark green Tyrannosaurus rex, it was introduced by Schleich in 2012. 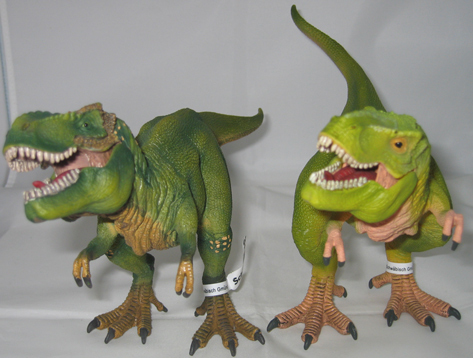 A light green version of T. rex was introduced in 2014, both models have proved to be very popular with young dinosaur fans. There are subtle differences between these two dinosaur models. The easiest way to tell the two models apart (even in a black and white photograph), is to look at the area that approximates to the knee. The earlier version has a series of dots, whereas the 2014 replica does not. Schleich will be adding some more T. rex dinosaur models to their range in 2017, for a preview of the new models including the new tyrannosaurids, try this link: Schleich Prehistoric Animal Models for 2017 (part 2). These types of dinosaur models make for great, creative, imaginative play and over the years Schleich has re-modelled their product range, tending to produce very colourful figures including some wonderful Theropod dinosaurs. We recall a Schleich T. rex model being specially commissioned to celebrate the centenary of the scientific description and naming of this Late Cretaceous, North American, meat-eating dinosaur back in 2006. 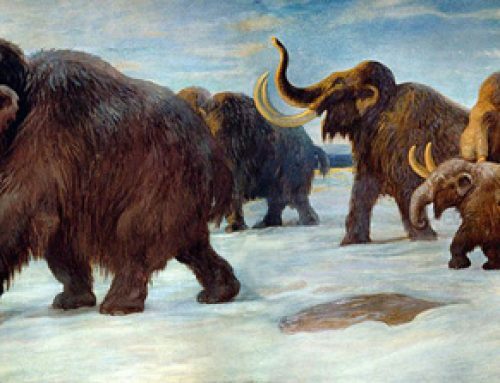 These German manufacturers certainly have a long and proud prehistoric animal model legacy. We wonder what other interesting dinosaur themed pictures and graphics we will find as we trawl through our extensive archive.